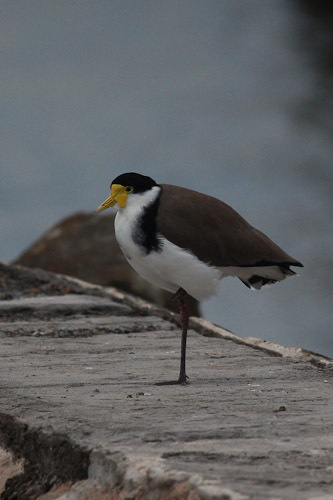 Shoalhaven Heads is at the entrance to the sea for the Shoalhaven River. Most of the time it was raining so not much chance for taking photographs. Moving on up the river to Nowra, I wandered along the Nowra Creek track. 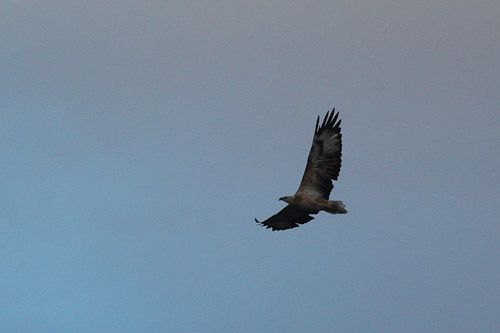 There were more birds up the top along the edges of the showground. 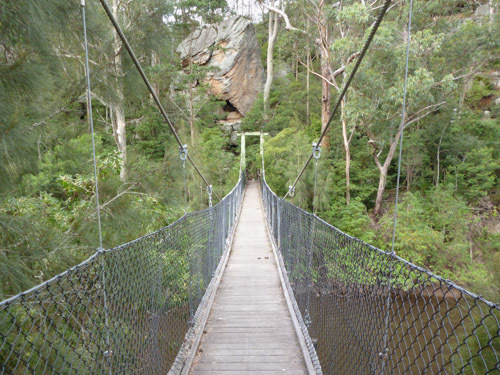 This bridge spans the creek at the bottom of the track. 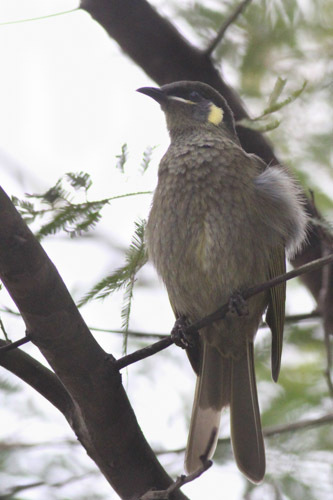 Lots of Lewin’s Honeyeaters but not much more. 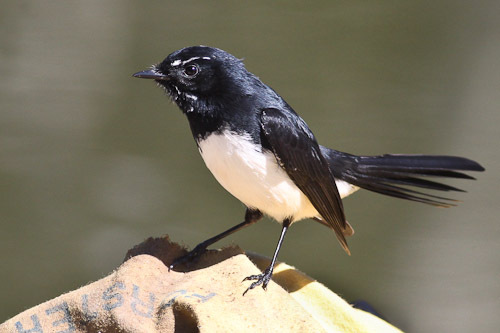 A few Superb Fairy-wrens, Silvereyes. 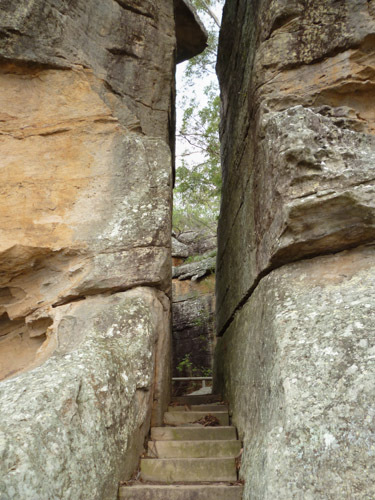 This is the track going up the hill to the showground where it passes between some big boulders. 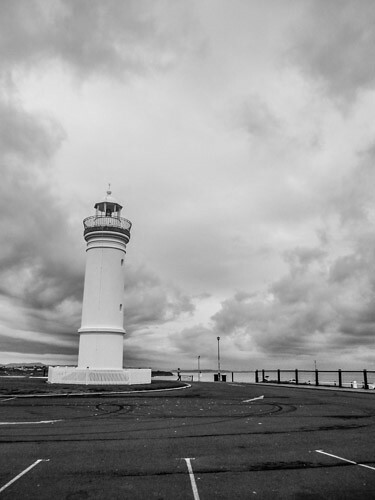 The lighthouse sits right on the headland at Kiama, on the south coast of New South Wales, just below Woolongong. 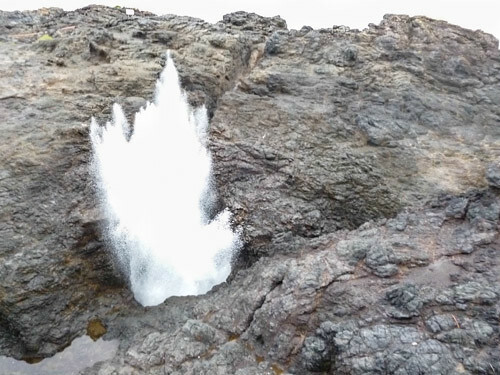 And here is the world famous blowhole. 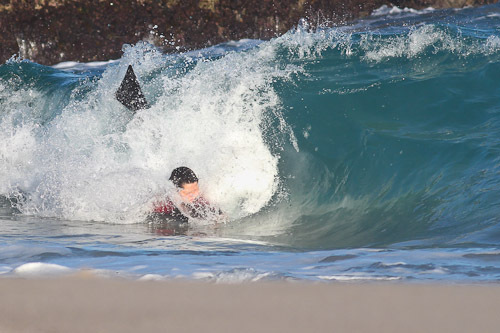 The swell was really small so it was pretty crap actually. 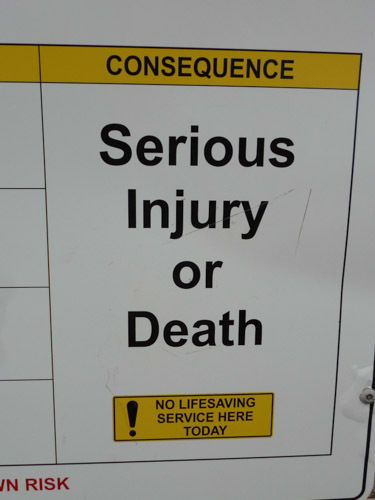 They always gotta have a sign for the idiots. 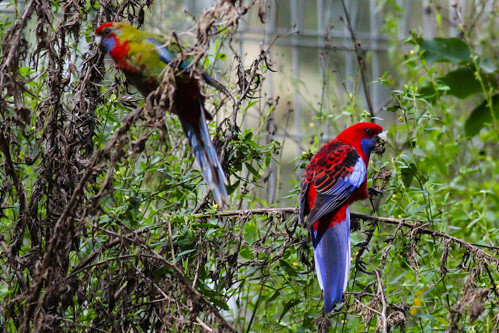 I drove up the main drag to the Spring Creek Wetlands. 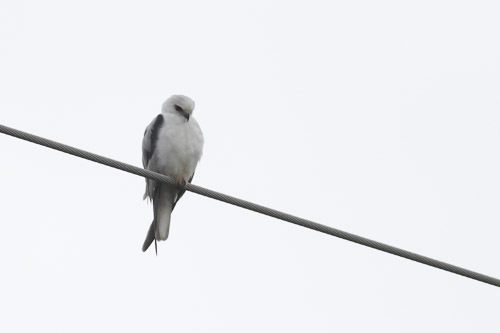 There was not much there and the weather was miserable and it started to rain and all I got was this photo of a Black-shouldered Kite up on the electricity wires. ha ha. The last RAW files would not import so this morning I shot on medium jpeg setting on the camera. I walked out to the headland at Elizabeth Beach, which is situated right on the beach at Booti Booti National Park. There were no birds around at all. I was most disappointed. The bush is really good around here. 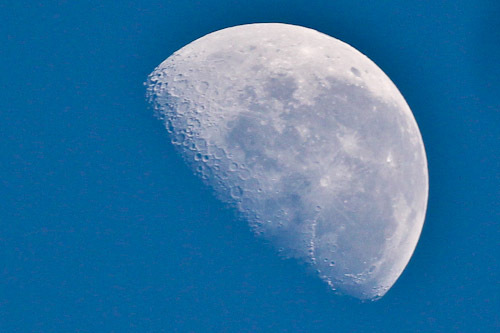 I cannot resist taking shots of the moon whenever I see it in the daytime. The best time seems to be in the early morning before there is too much light which seems to dull all the craters on the moon. Well, the contrast of the craters. A couple of kids were riding their boogies boards in the corner. The waves were not very big but would be better with a bigger swell. Later I moved to the creek at Pacific Palms where the fishing boats tie up to the wharves. I used to fish prawns out of here in the seventies. ha ha. 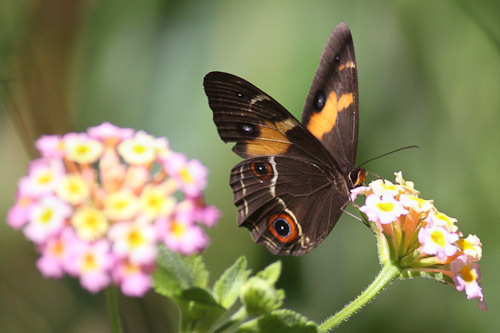 And a butterfly alighting on some lantana flowers. I think it may be some type of Monarch butterfly or similar. Well, for that time I was shooting in RAW. I got a new Canon 700D so I had to take it for a run. The afternoon was dull and overcast with very little light and getting onto sunset. I photographed this Masked Lapqing at a shutter speed of 1/1000, aperture of f/5.6, which is wide shut, iso800 and AIServo Autofocus. I also use the Back Focus-button. I have not had a really good look at these photos yet to see if the new enhanced ISO of these new cameras is better than the old ones. It is a question of getting access to electricity as I am travelling. Camera settings were the same as above except for ISO400. It is a bit darker than I would have liked. This is getting very dark here and I had to use ISO3200. You be tht judge if it is too noisy or not. I think it is. In dark situations it is better to turn off burst because the NR engine does not work on multi-photo (burst) mode. The next morning in bright sunlight and back down to a nice ISO200. 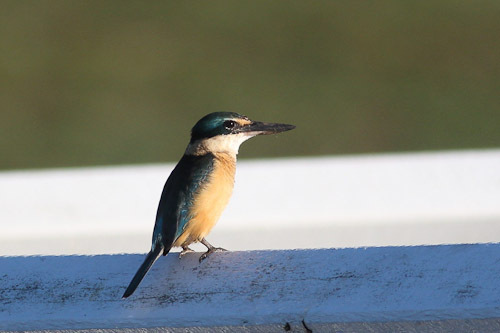 I have not had a look at my books yet to see if this is a Sacred or Azure Kingfisher. 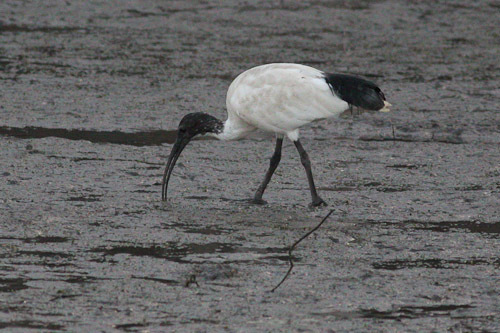 And I am way out of touch with Australian bird identification. 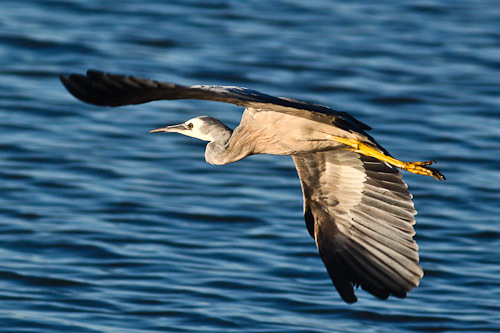 A White-faced Heron taking off after I got a bit too close. I had a problem loading the RAW files into my photo-editing software. I had to do a work-around and load my selected photos in as jpegs. So that is a major hassle. I am going to shoot in jpeg until i fix this problem. It seems that I may have to download Adobe Camera Raw 7.4 as a workaround in the meantime. I am spending my last day in Osaka before heading back to Australia tonight. Here is the view from my hotel window this morning. At least I can see the sky. 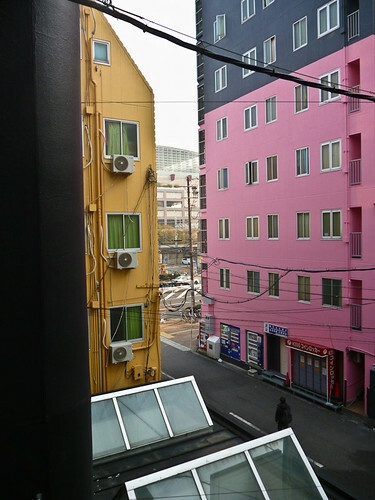 Before lunch I went to the hundred yen shop, had a cup of coffee, then went for a walk across the road to Shinsekai. 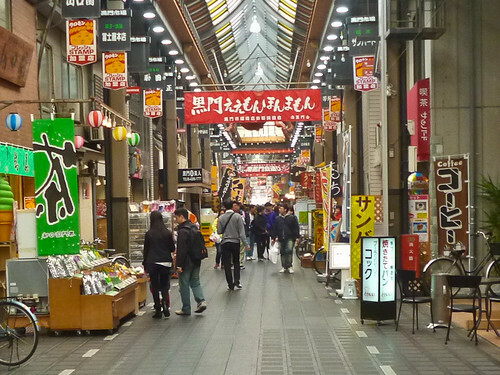 This is the alley where all the izakayas are at. They are very popular and people line up trying to get in around lunch time. Kuromon markets are a favourite with me every time I am in Osaka. 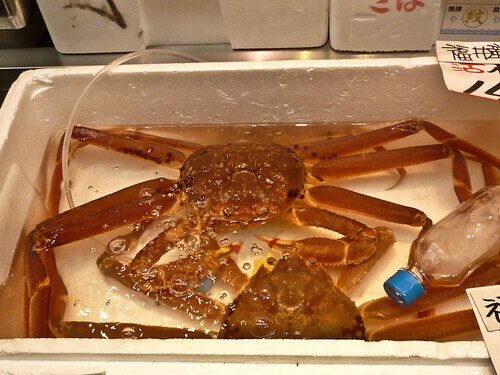 Here are a couple of crabs in a box for sale. I always seem to spot a TV crew around this area. Today was no exception. 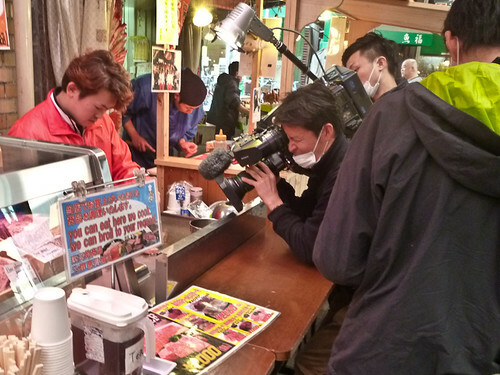 There are so many food shows on TV in Japan that one gets bored with them. This morning I headed over to Annapuri. I had a bit of a little stash of snow that I thought may not be totally tracked out. There was about ten centimeters of new snow last night and it had just kept the old stuff a bit fresh. First run was down gate 1, which had a little bit of new snow but icy underneath in patches. 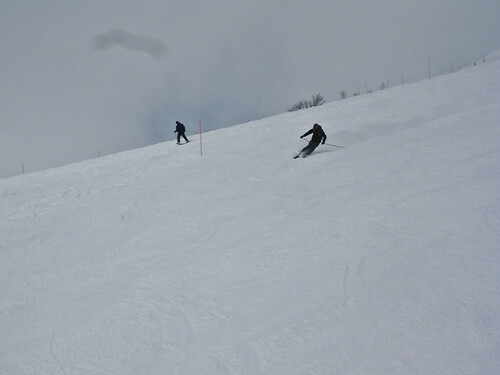 Then I went up the Annapuri Quad chair and over the ridge. I just did laps like that for the rest of the morning. 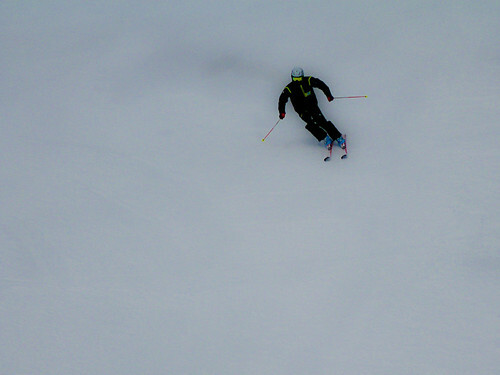 On the way home, I went through gate 7 and skied the gully under the double chair lift. 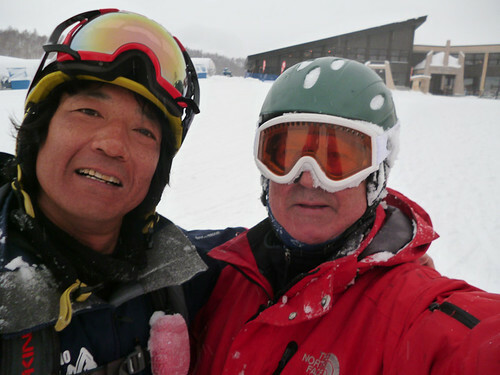 Joe from Hanazono picked me up from the hostel in Hirafu at 7am. 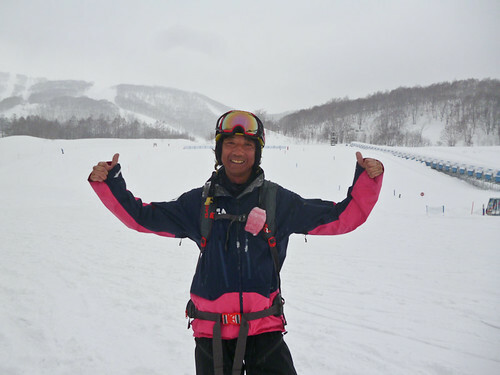 There were three other Australian skiers and a couple of Japanese snowboarders in the group. We got to Hanazono and filled in the forms and then were shown how to use the beacons, shovels and probes. We were provided with a good backpack. 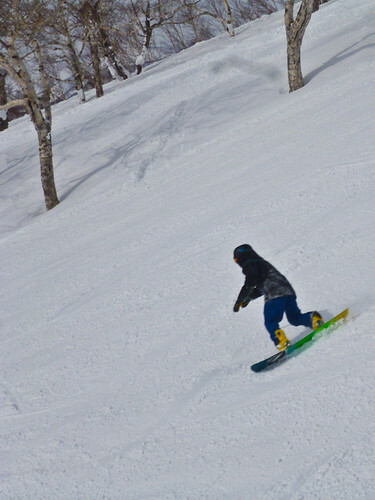 I took off with Joe as my guide, whilst the Aussies went with Mark and the two Japanese snowboarders went with a Japanese guide. We went up Hanazono #1 lift at about a quarter to eight and went into Strawberry Fields. At the top it was pretty wind-packed but as we got down the slope it got really nice. I guess we had got about twenty centimeters of fresh snow overnight. 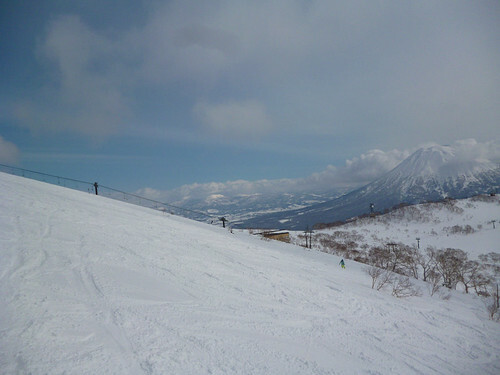 After that, we went down the Legend of Shinya piste, which was well covered but still a bit bumpy. Then down Blueberry Fields and another couple of runs down Strawberry Fields. 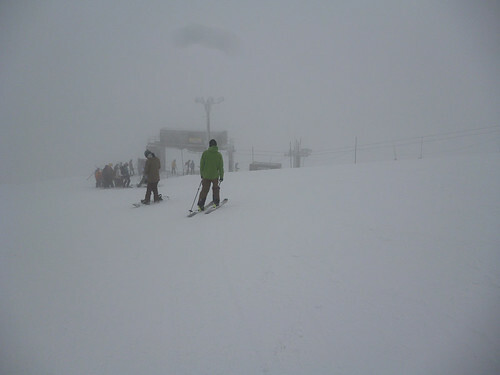 The fog was pretty intense so we did not head up to Hanazono #3 lift. You could hardly see anything.